Can sport foster social integration? 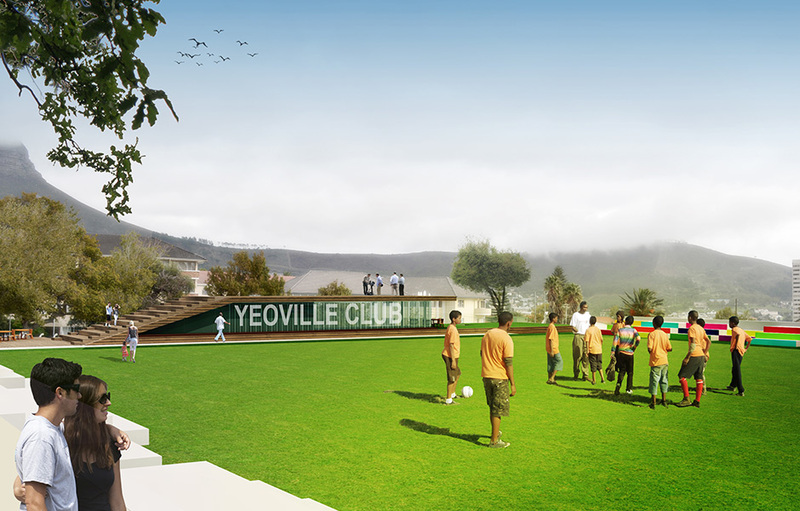 Yeoville sports field was an abandoned site in a quiet residential area, located at the foot of Table Mountain on the edge of Cape Town city centre. The local community had cleaned up the area and transformed it into a football training field for young kids. But it lacked any public amenities. 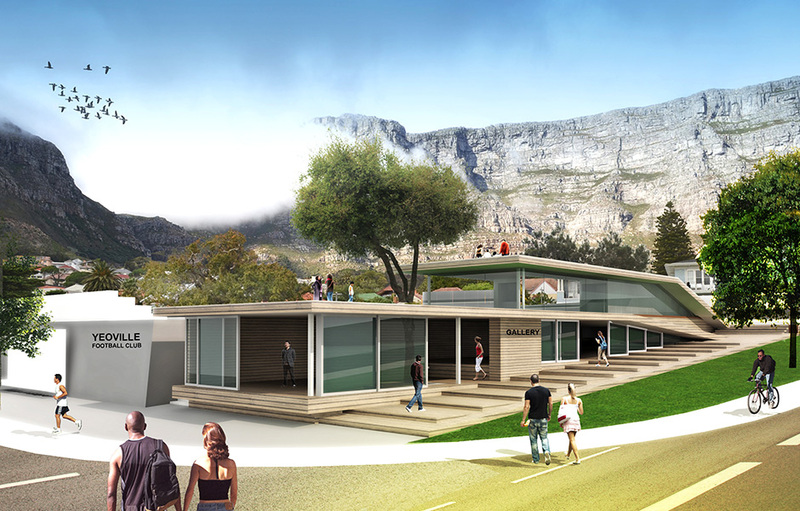 Our design aims to regenerate the urban environment by creating a family friendly, mixed-use, multilevel building featuring ramps and platforms that follow the sloping contours of the site. 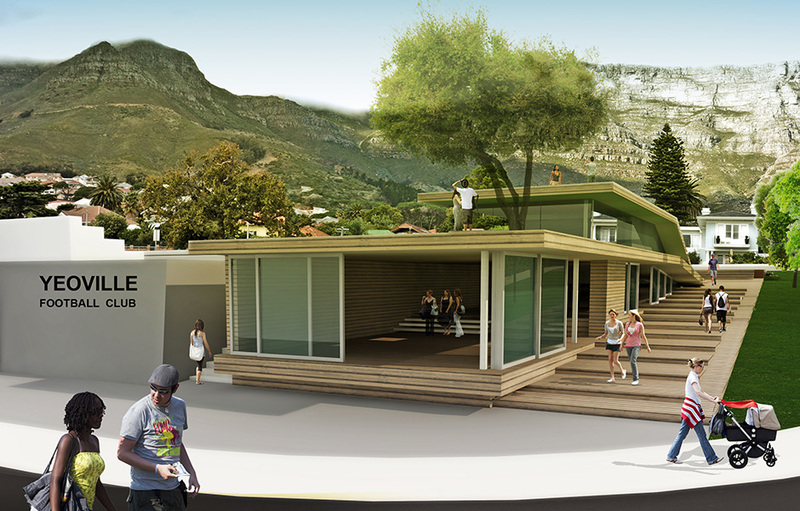 The new building offers retail units, gallery spaces and coffee shops at street level, which parents can use and enjoy while their children are playing sport at the club. 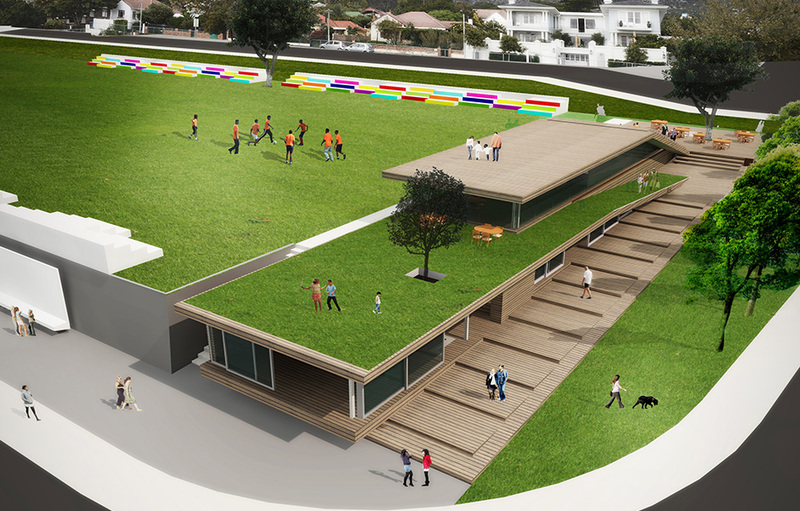 Located above the retail units, and level with the playing field, the sports club contains new public amenities, including a play area on the viewing deck where younger children can play. 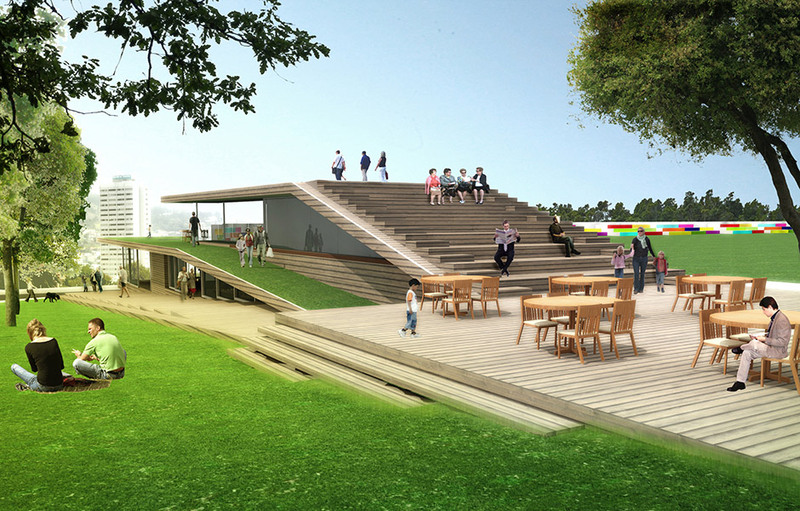 An amphitheatre and deck area offers an additional social space that can be used for community events, theatre productions and outdoor movie screenings.